Centara Villas Samui is located on Natien Beach in Koh Samui, the resort is set on a sloping hill with direct access to the beach. This Koh Samui accommodation is in a secluded location and is perfect for a relaxing holiday. The resort features 3 swimming pools, restaurant, bar, day spa and kids play ground. If you are after a relaxing and romantic location in Koh Samui then Centara Villas Samui is for you. 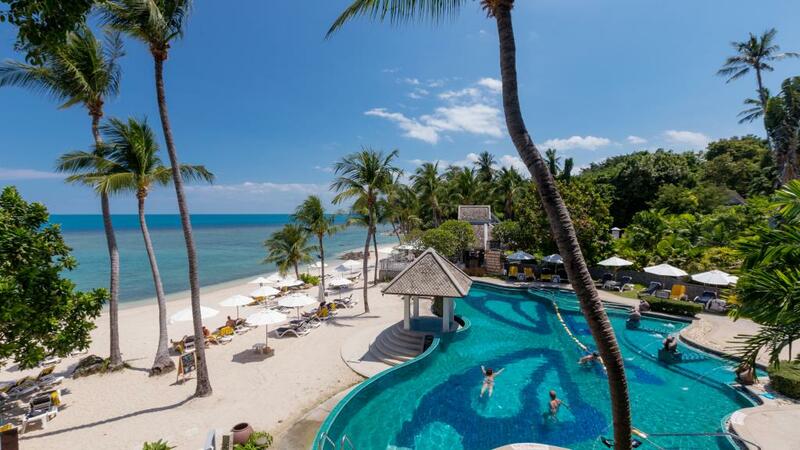 This Koh Samui accommodation is a short distance from the Natien Beach and offers an array of facilities including 3 swimming pools, bar, restaurant, day spa, kids playground and PADI Dive Centre.